This giveaway will end Monday, October 27th, 2014 at 11:59 pm Central time and the winner will be emailed soon thereafter. Make sure you add [email protected] to your address book, so you get the email if you win! Motherhood’s Snot Easy Contest: Being a mom’s ‘snot easy, but we love it anyway! And here at Boogie Wipes, we want to reward mom’s for taking on all of those ‘snot so fun moments. Find out more and enter our contest here: http://www.boogiewipes.com/motherhood-contest/ Monthly Giveaways: Looking for extra posts for your blog each month? Need a little something fun to give your readers? We will be running monthly giveaways that you’re welcome to share with your readers, if you like. Check back with me each month for the next month’s giveaway. You can enter to win them also! Take The Pledge! Take the pledge to save your sleeve at www.boogiewipes.com. We will be giving away 1000 pledge kits each month! 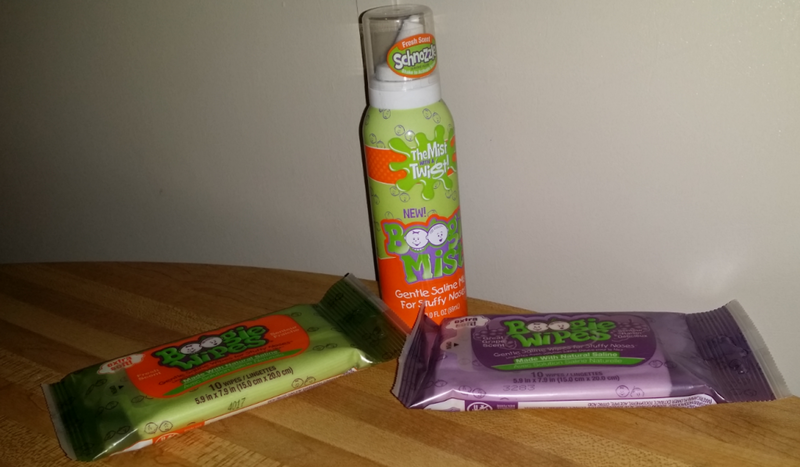 Each kit contains fun Boogie Wipes swag and a backpack badge!